A New Luxury Hotel in Bali: The ANVAYA Beach Resort - Holy Smithereens! With a flight landing every 2-3 minutes in Bali’s Ngurah Rai International Airport, it’s safe to say that tourism in Bali is only going to get bigger over the years. There are currently over 1,200 registered hotels in Bali (not counting alternative accommodations) so it’s not uncommon to have new hotel openings every now and then in Bali. 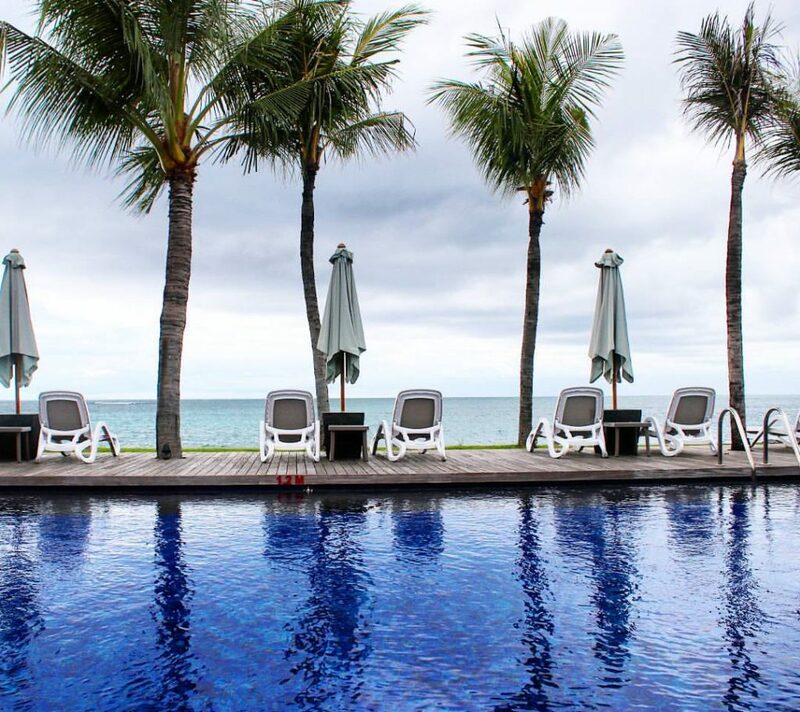 The ANVAYA Beach Resort in Bali is one of the newest luxury hotel to open in Bali. 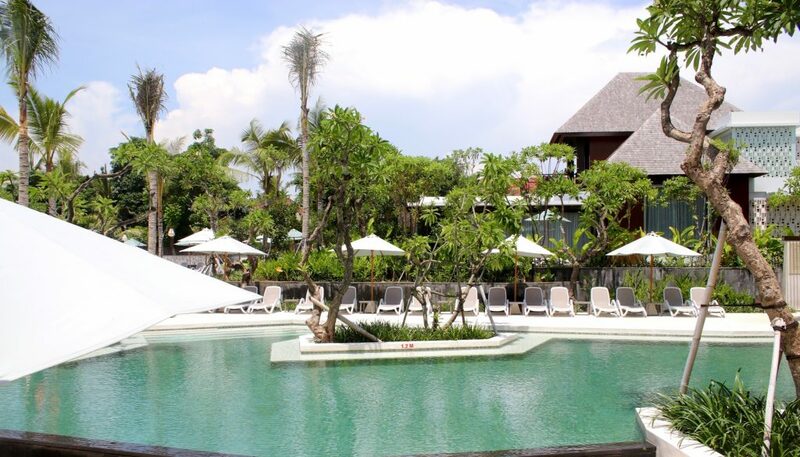 But unlike any other luxury resort, The ANVAYA has a clear goal: to bring luxury and tranquility back to Kuta. To those who’ve been to Kuta, this goal may seem challenging or even ambitious. But definitely admirable. 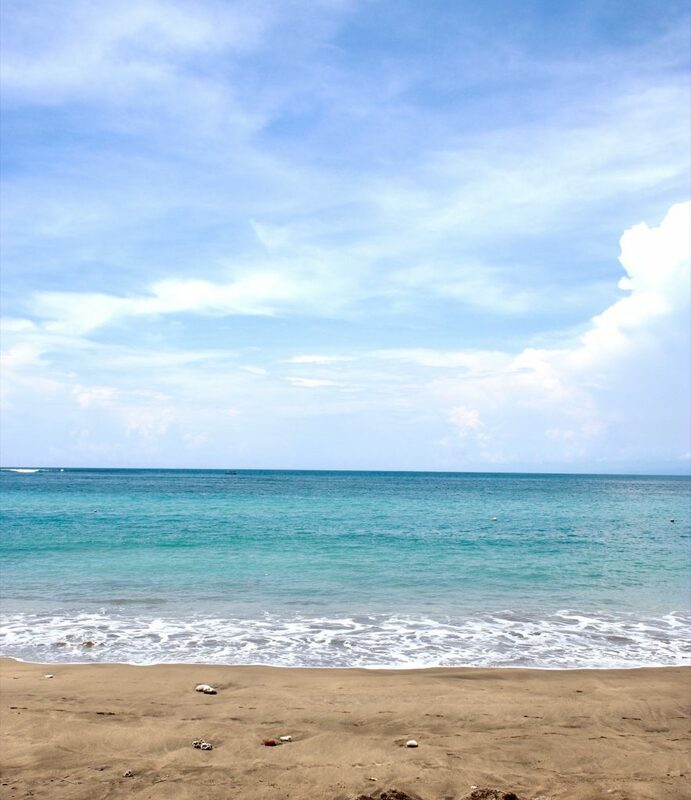 Kuta is one of Bali’s first tourist developed area, and through the decades have become Bali’s busiest areas. Kuta is still quite active and bustling. It has all the modern conveniences like shopping malls within reach but it is considerably quieter than it was about five years ago. 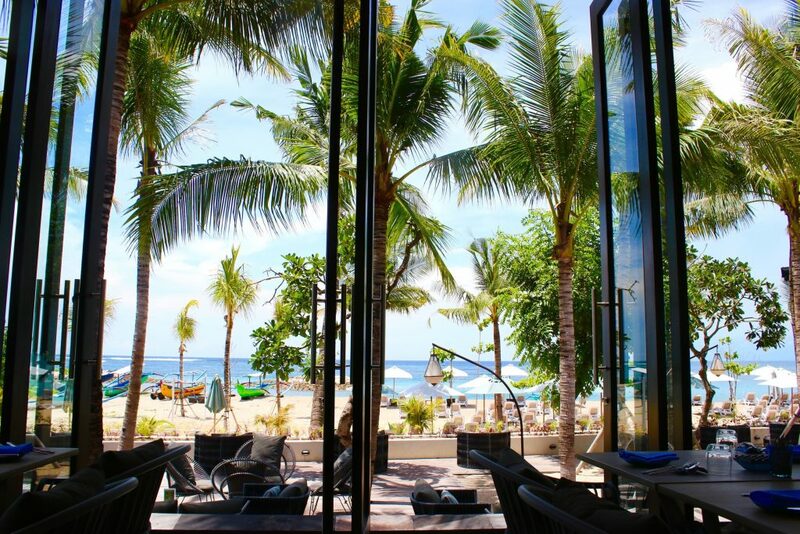 And this makes it the perfect time for The ANVAYA Bali to enter to reinvent the scene of Kuta. 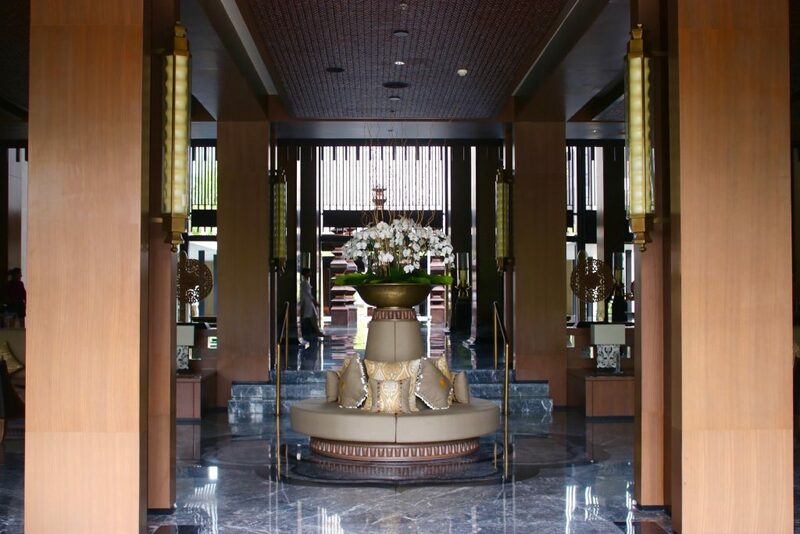 The ANVAYA is just 10 minutes away from the airport by car. The resort offers a private van service for airport pick-up / drop-off. 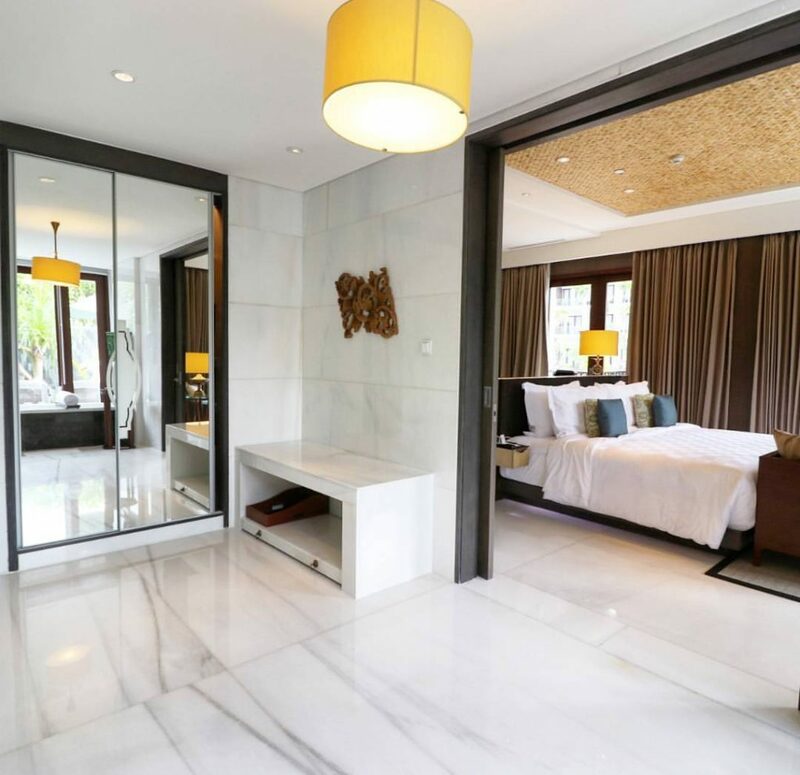 It was just a short drive from the airport , and the moment I stepped foot in the resort, I immediately felt that I was hours and miles away from Kuta. While the resort is close to entertainment, shopping and restaurants, the entrance of The ANVAYA is quite far from the main road so you don’t feel the hustle or the noise of Kuta. 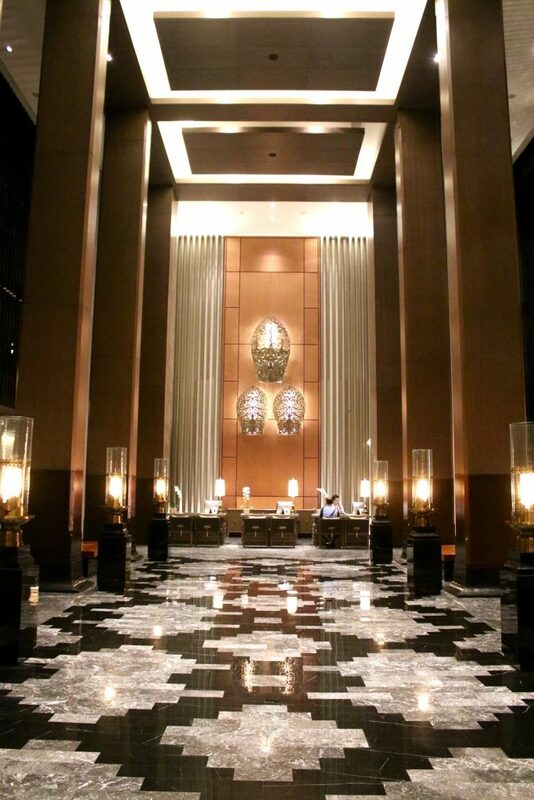 Another noticeable thing when you enter The ANVAYA is the design. It is Balinese through and through. But one thing I learned during my stay at the ANVAYA: they like to take things to the next level. Before you classify The ANVAYA as yet another Balinese-themed hotel, look closely and you will soon realise that the entire ANVAYA resort is a carefully crafted work of art that showcases the history of Bali through impressive architecture. The word ANVAYA means meeting of the Three Balis. These three are the stages of Bali in history. So from the entrance until 1/3 of the resort, all the designs are “Bali Aga” based, meaning Bali design that is pre-Hinduism. 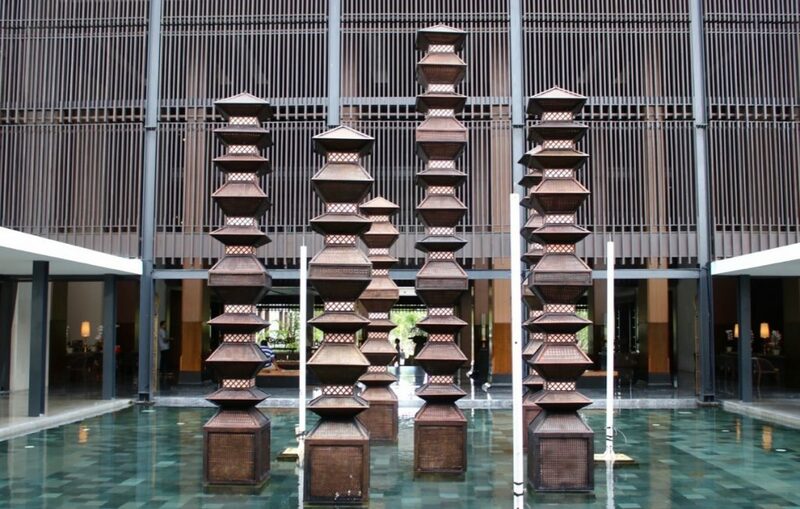 The main symbol of this Bali Aga design can be found in the entrance of the resort, where a stunning group of pillars are arranged which light up stunningly during the night. 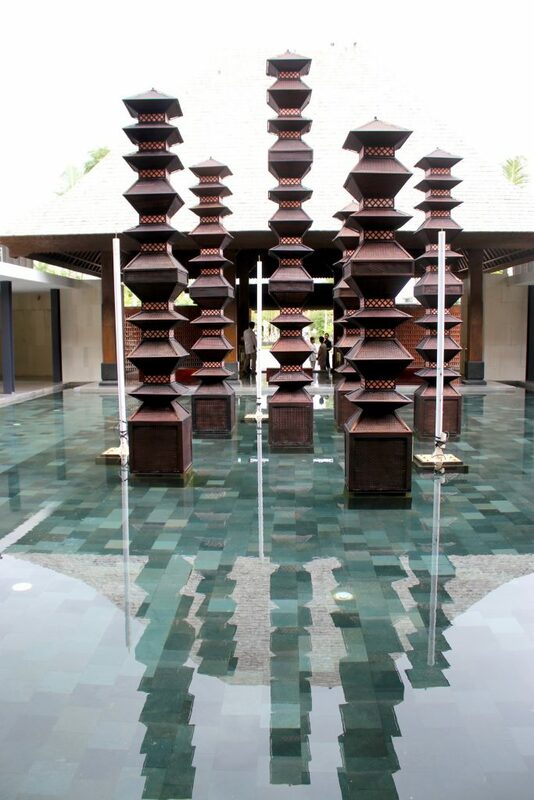 The middle part of the resort, from the pool onwards, carries the “Bali Hindu” design theme. This kind of design is what people normally associate Bali with as Hinduism is Bali’s main religion and plays a huge role in its culture. And the last part of the resort starting from SANDS Restaurant (one of the resort’s restaurants) until their private beach area, the design is Contemporary Bali. And when I say that the resort is comprised of these three themes and designs, I don’t say it lightly. I mean every single detail , not just from the main architecture, interior design, paintings or room fixtures. I’ve noticed that even small details such as cutleries, staff uniform, and background music change as you find yourself in the 3 different areas of the resort. For impeccable attention to detail, I give the ANVAYA my hats off. The theme changes gradually too so you don’t suddenly find yourself in such different surroundings. The ANVAYA team is made up of long-time industry experts. From management-level to front line staff, almost everyone has had extensive hospitality experience from the Maldives, the Middle East, the Seychelles, and other resort destinations. While conceptualising the ANVAYA, the team wanted a real tranquil and private experience for guests. From their collective experience, the ANVAYA team observed that most resorts suffer from a very crowded reception / lobby area during peak check-in times. To avert this situation, the ANVAYA specifically designed separate lounges for early check-ins and late check out guests. 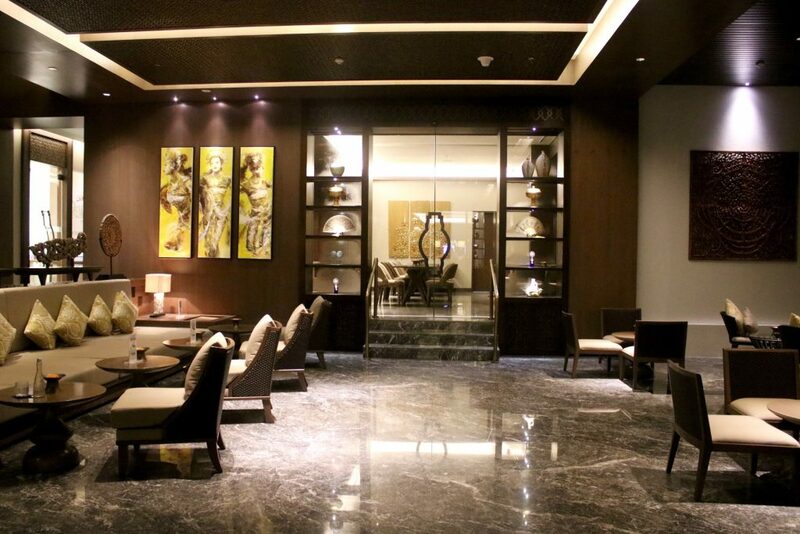 These lounges are extremely comfortable and spacious, offering shower, complimentary refreshments and entertainment. Due to this, the resort has a constant spacious and relaxing atmosphere, even though it had an 80% occupancy rate while I was there. 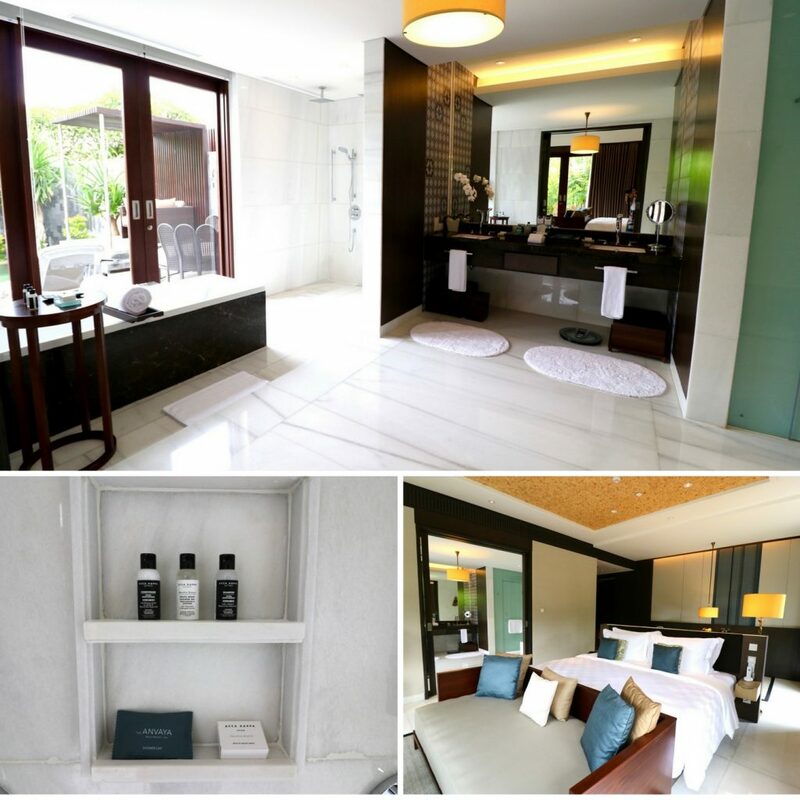 I was able to stay at three different room types in the ANVAYA Bali during my stay. 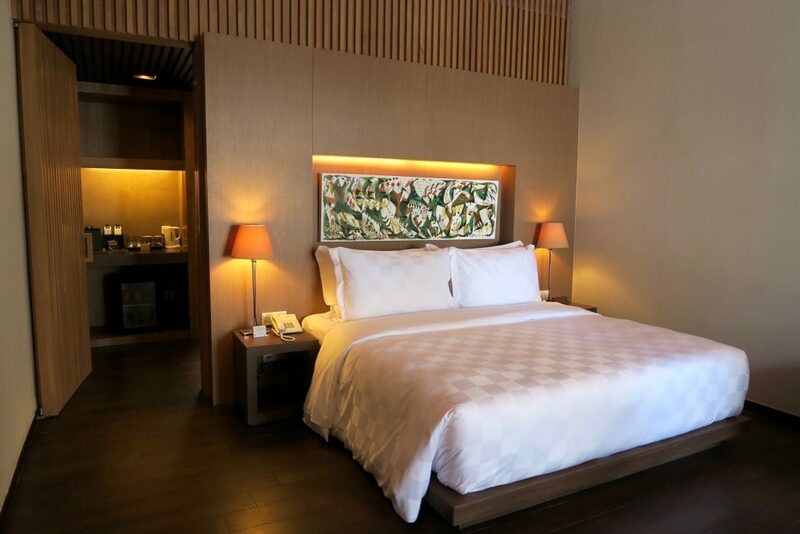 All room types at the ANVAYA offer complimentary WiFi access, Acca Kappa toiletries and use of lobby and departure lounge for early / late check-in. 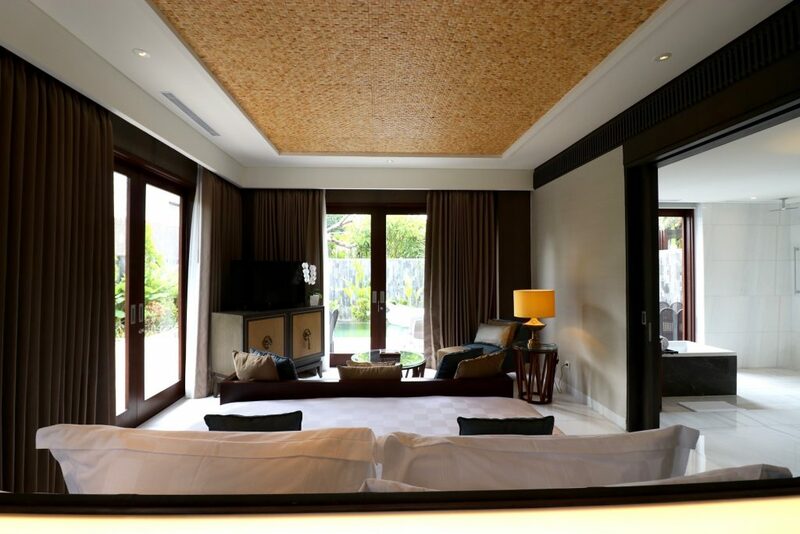 The first is a Premium Lagoon Access room, the most popular room type to be booked at the ANVAYA. These room types are available in twin and king bed configurations. 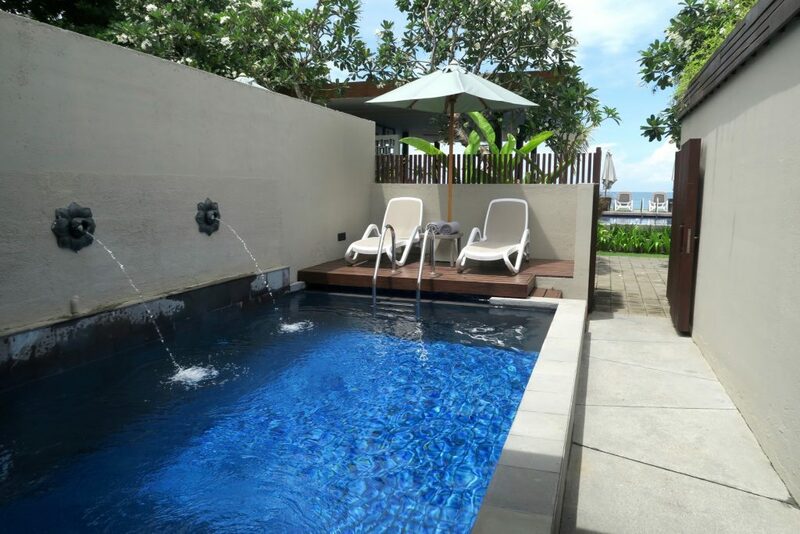 The ground floor rooms have a direct access to a 1.2 metre deep lagoon pool, such as the room I stayed at. The upper level rooms of this category feature balconies with garden views. 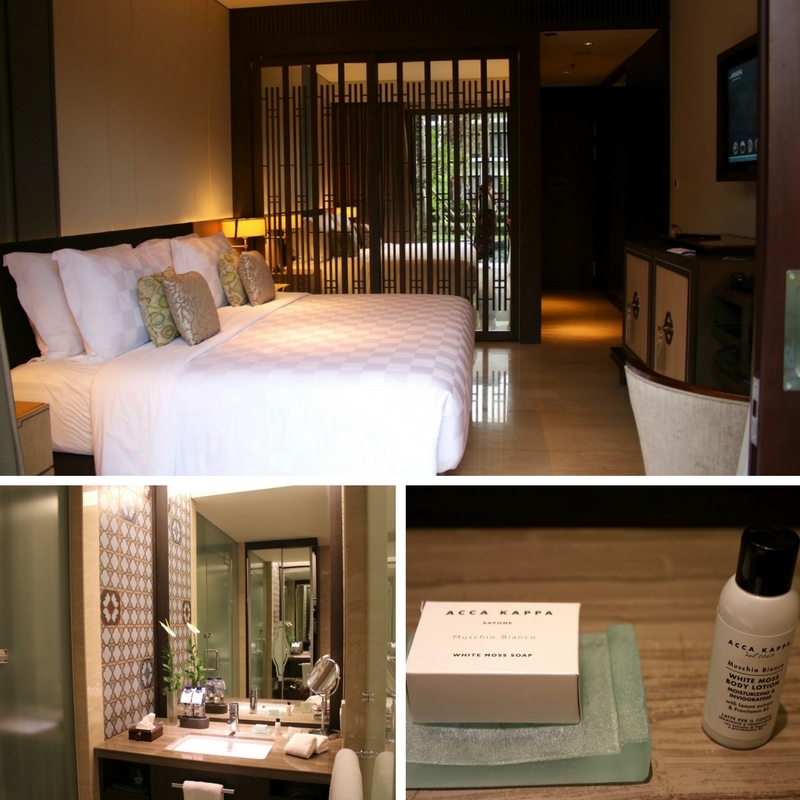 All rooms at the ANVAYA feature a smart tv where all commands, requests and information can be found. You won’t find the usual hotel room compendium in the rooms, you just navigate the TV. There are only 10 ANVAYA Suites in the resort, all almost hidden amongst thick gardens and greens within the resort. These suites are generously sized and have one of the largest bathrooms I’ve ever seen. It’s hard to play favourites, but the ANVAYA Suite room type was easily my personal favourite among all the rooms in the ANVAYA. 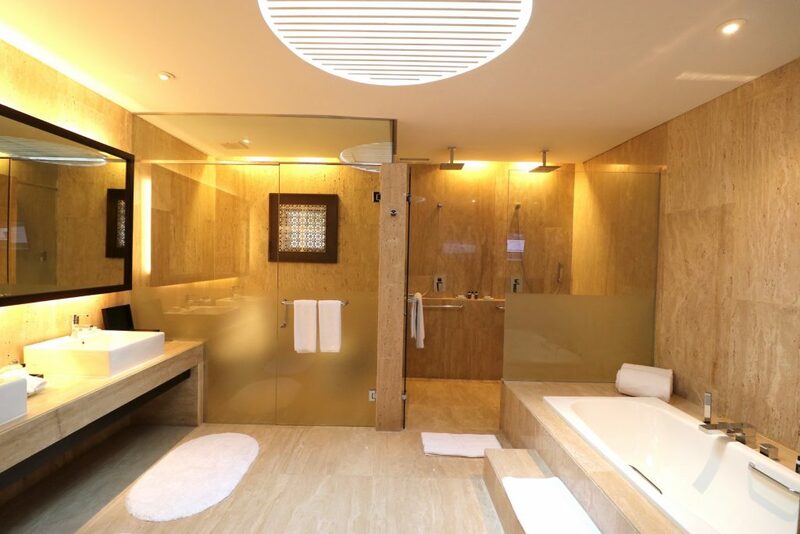 The bathroom’s floor and walls are white marble, there are double sinks, a stand alone tub and best of all, the bathroom area also opens to a lush garden with your very own pool. You could easily spend days in this suite and not even need to go out. Lots of natural light, white floors and walls, natural wood and just the right accents of yellow and green. I think it’s not hard to see why this room type has easily become my favourite. And finally, I was able to try the Beachfront Private Suites of the ANVAYA Bali. There are only 8 of these suites in the resort, and they are located in a separate area of the resort. They have their own lobby and check-in/check-out area as well as a main pool just for the eight suites. I suppose the main pool is for when guests feel like swimming in a pool larger than their private pool, which all eight suites come with. My favourite part of this room is the bathroom. Even though the lights are mostly yellow, there’s a huge glass in the ceiling that lets in natural light so it’s still quite airy. As these suites are mostly for honeymooners, there’s two of everything (except the tub) in this bathroom. Yes, double showers! Kuta beach is normally a chaotic scene with tourists, locals, vendors and pop-up surf schools everywhere. 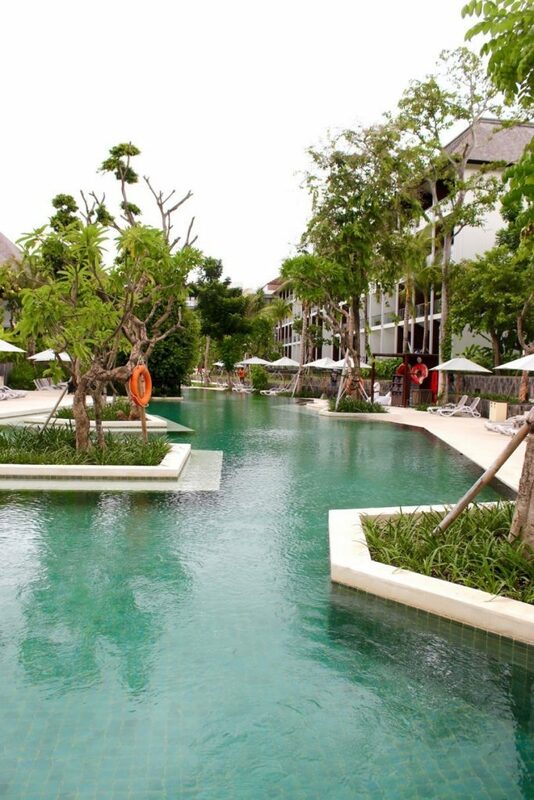 At the ANVAYA, there’s no such stressful scene as they have a slice of their private beach in Kuta. While it’s quite a scenic and relaxing spot, swimming is prohibited due to strong currents. 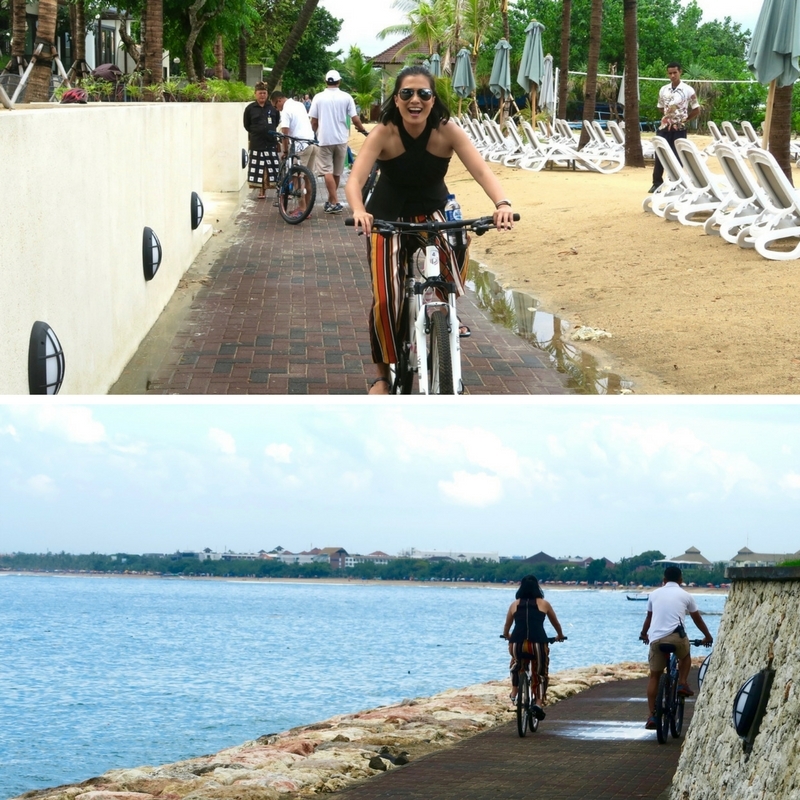 As an alternative to swimming, you can hire a bike from the resort and join a bike tour that takes you all the way up to the airport. Or just cycle on your own. This is a great way to get your workout in and start the day. 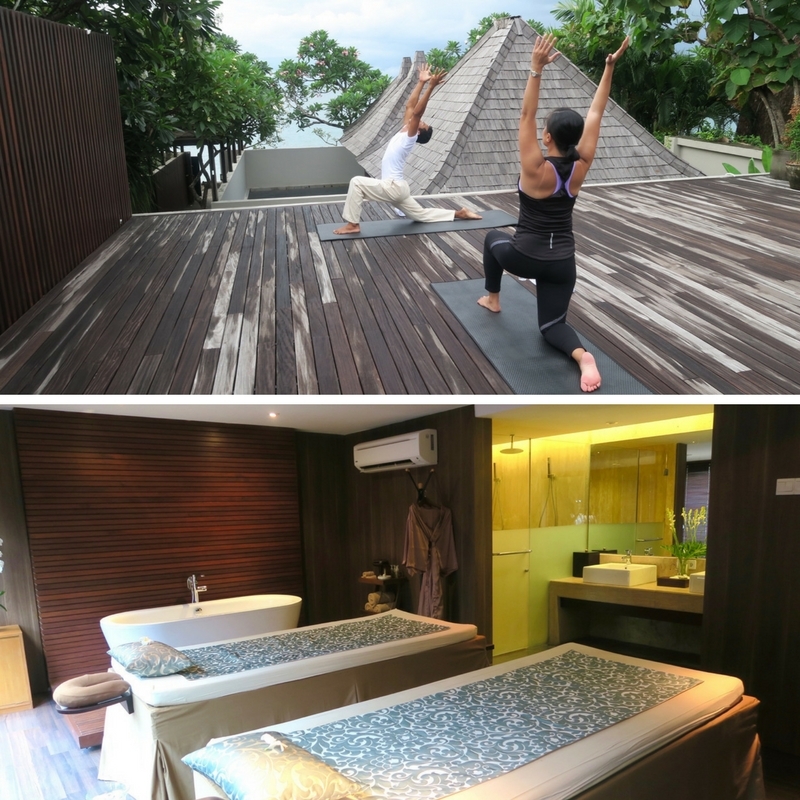 And one of the best ways to end a day of exploring the resort or Kuta is to join a session of Ashtanga Yoga at the rooftop pavillion of the Sakanti Spa, and then indulge in a massage treatment right after. It’s exactly what I did one late afternoon at the ANVAYA. After an hour-long yoga session, I had a 90-minute hot sand stone detox massage, a signature Sakanti Spa treatment which involves being massaged with heated sand bags infused with aromatic oils. It was absolutely relaxing, and if it would be possible for you to get this massage on all your days at the ANVAYA, all the better. 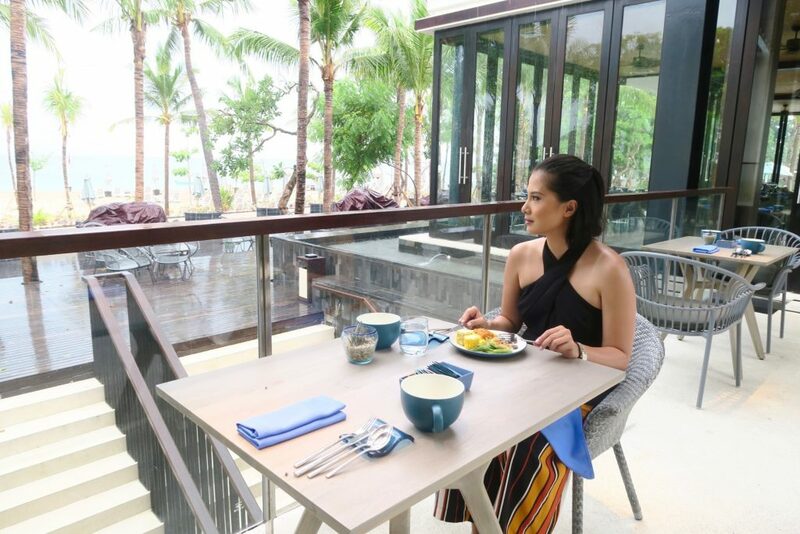 There are three areas for you to dine at the ANVAYA. Kunyit for traditional Indonesian and Balinese food, Sands Restaurant for contemporary dining, and the Wine Cellar at Sands for formal dining. 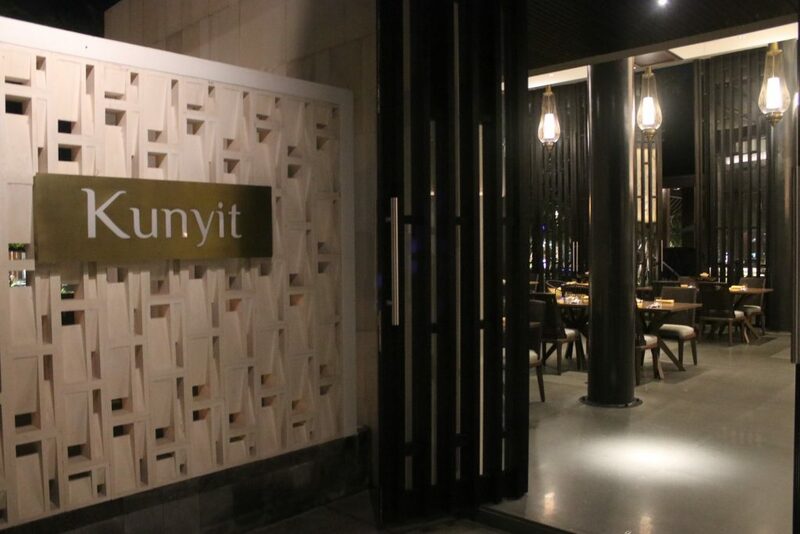 From its interiors to the pipe-in music, Kunyit is a true-blue Balinese restaurant. 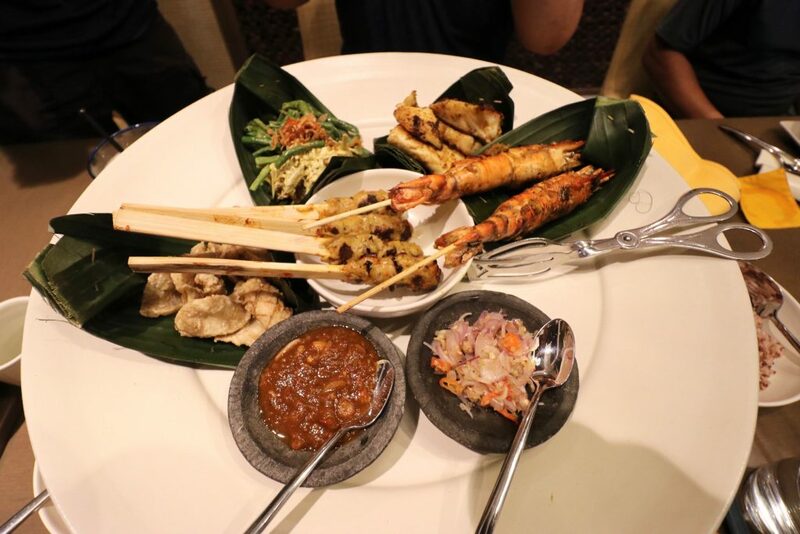 Balinese / Indonesian classics like Sate Campur, Nasi Campur Bali and Satays are served. But the specialty in Kunyit is the “Megibung” meal. Megibung is the Balinese tradition of sharing a meal with family and friends, with the main dishes in one plate and everyone partaking not just in eating but the conversation as well. Not only was Megibung a great experience culturally, but it was also a fantastic way to sample many Balinese dishes as there’s a lot of variety in the plate. 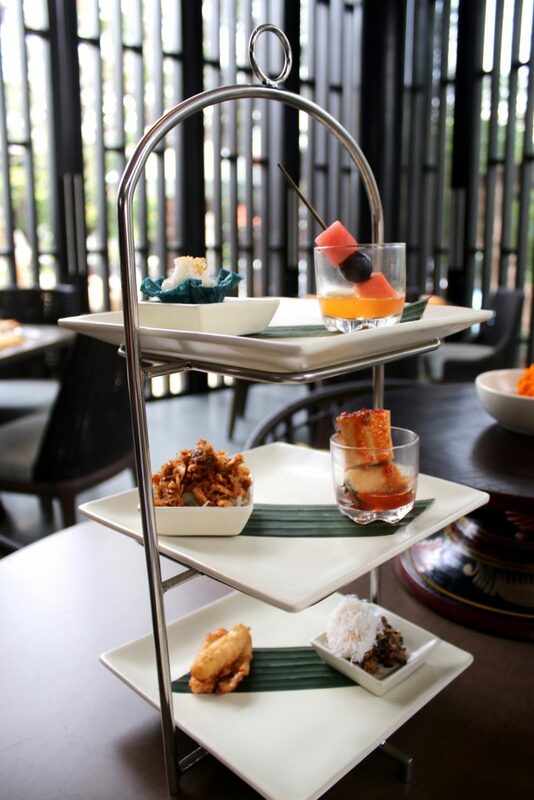 Kunyit also serves afternoon tea in Balinese style, where local sweets and delicacies take the place of the usual scones and sandwiches of the customary Western type of afternoon tea. Sands Restaurant, located on the beachfront end of the resort, offers contemporary dining and has quite an extensive buffet offering. There are cooking stations for all kinds of cuisine so food is always served fresh. 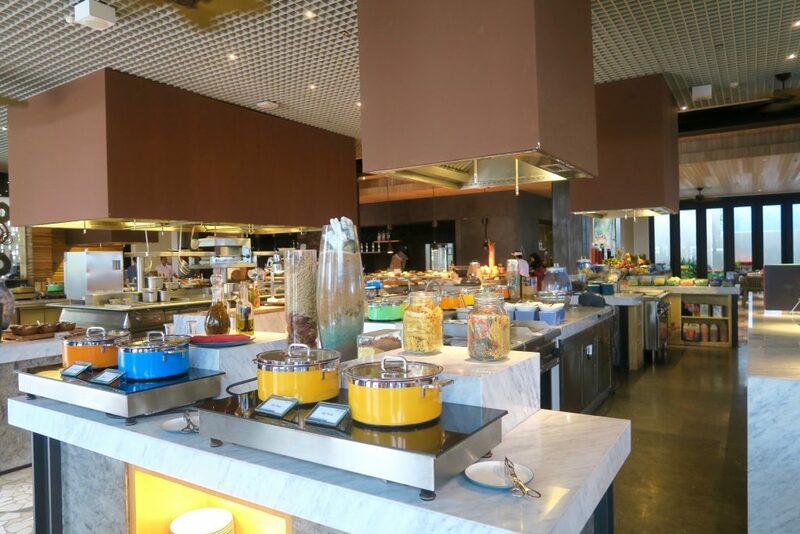 Sands also offers ala carte dining for breakfast, lunch and dinner. I highly suggest their seafood. Weather its grilled, pan-fried or any which way it is cooked, the fish and shellfish are extremely fresh and has become my favourite go-to during my stay. 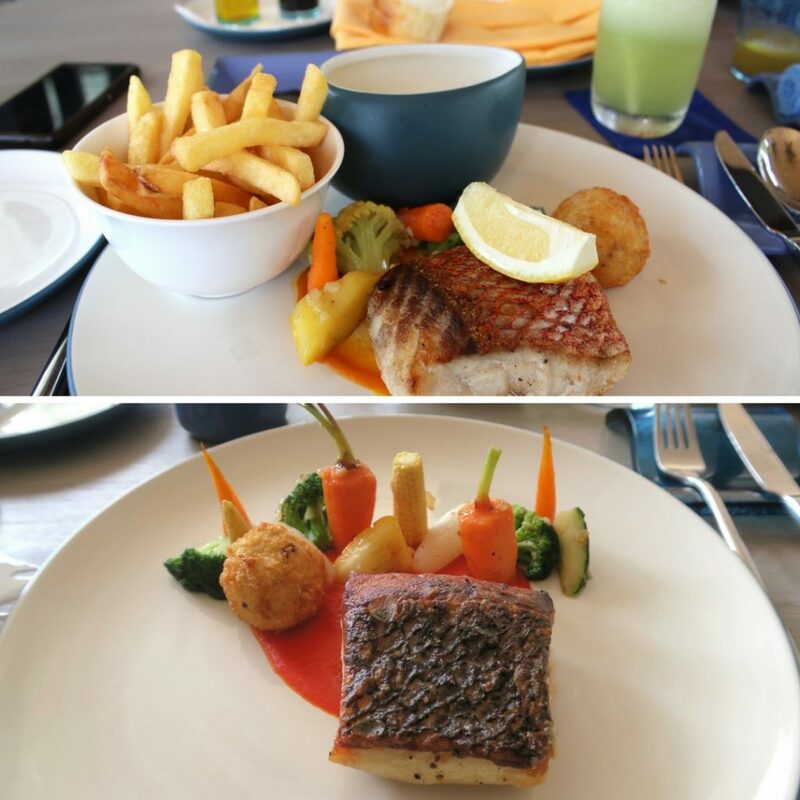 Sands is definitely a place that you will find yourself lingering over your meal as it’s airy and has a relaxing view of the beach. 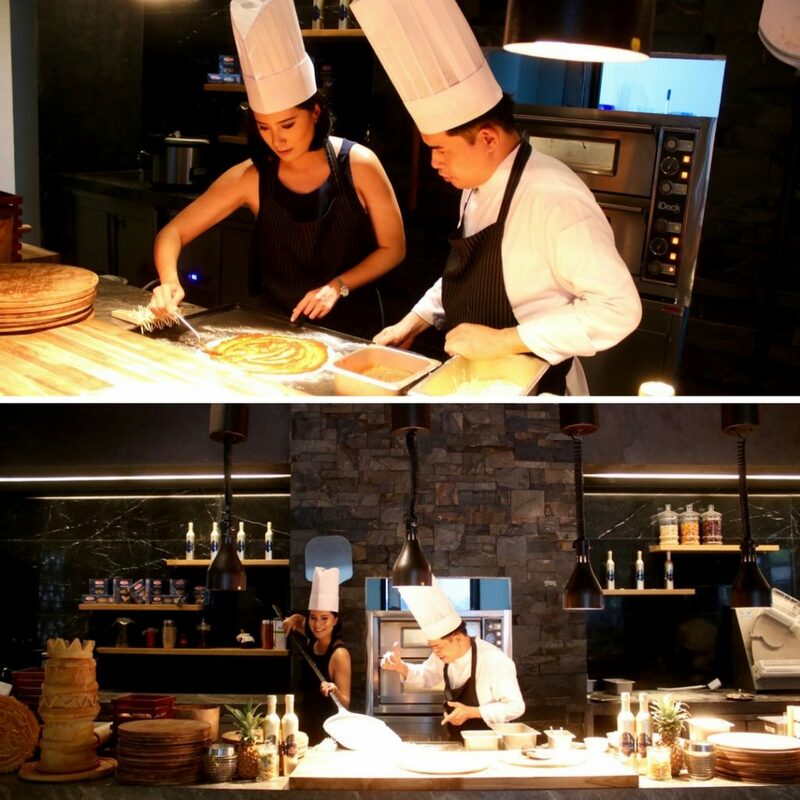 Every Sunday, Sands Restaurant offers an interactive brunch with the chef, where families, kids (and those young at heart) can partake in creating their own brunch creations. I had a go at making my own pizza with the chef. 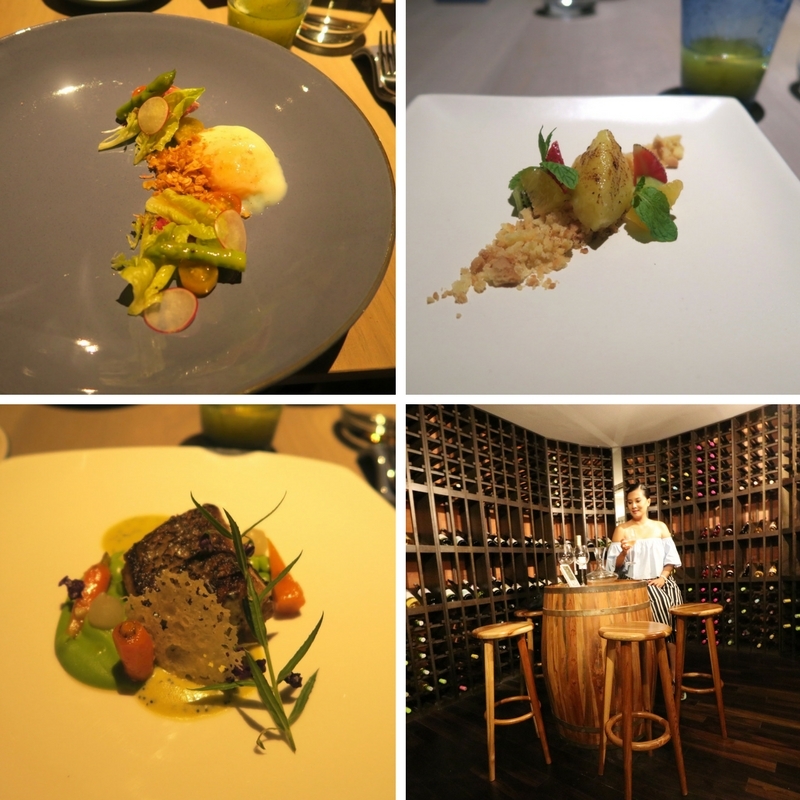 It was so much fun and I’d definitely recommend it for those seeking out-of-the-box dining experiences in Bali. Perhaps one of Kuta’s best-kept secrets lies underneath Sands Restaurant. The ANVAYA Bali has a collection of over 1,000 wine bottles (and growing), with a walk-in wine cellar large enough to accommodate private dining for a group. The four course dinner was amazing. Again I would recommend going for the seafood as Sands seems to have mastered it very well be it for breakfast, lunch or dinner. Together with the wines that were paired, it was quite a memorable evening. It’s amazing how just going a few metres below ground will make you feel like you’ve been in an entirely different world. I’ve only seen a few hotels that really stick to its theme and design, focusing on all the smaller details. The ANVAYA Bali is one of them. I’m very impressed with the level of detail given to the design and concept of the resort. The people behind the ANVAYA play a big role towards its success. With the ANVAYA opening in November 2016, almost all of the staff have been with the ANVAYA from ground zero and conceptualising stage. Speaking to them, I can tell they have a sense of ownership of the resort. Those needing a quiet place to get away from it all need not drive all the way to Ubud or other farther suburbs of Bali. There were times when I was at the resort that I completely forgot that I was just in Kuta, 10 minutes away from the airport. The ANVAYA does have a big plan of restoring luxury back to Kuta but and from what I’ve seen, their strategy is well-executed. I am quite hopeful that Kuta’s scene will change over the years. And even if it stays the same, we do have the ANVAYA serving as a very convenient getaway in the middle of it all. Have you been to Bali? Do you prefer getaways where you do not need to leave the resort? 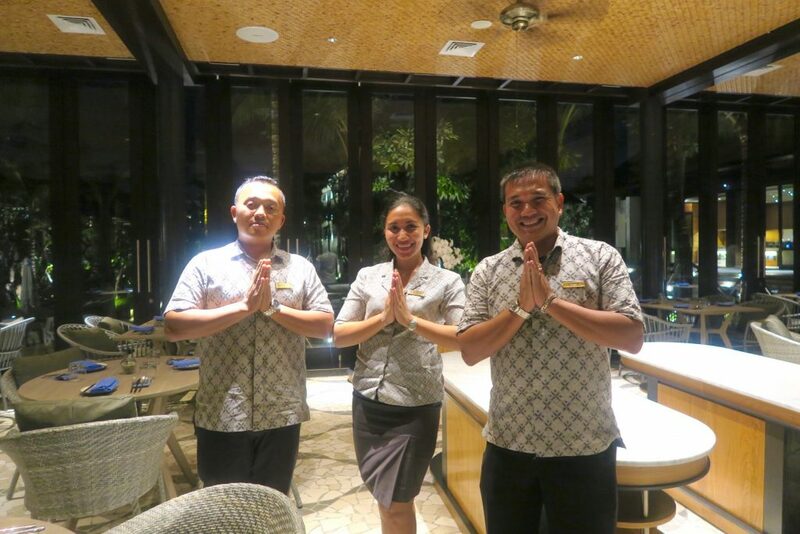 I stayed as a guest of The ANVAYA Bali for the purpose of this review. All opinions are mine. Looks like a very nice place. That looks fabulous! Just check out the size of that bathroom! When I want to get away from it all, I always choose a resort that’s so luxurious, I don’t need to leave! Stunning! I would definitely love to stay there! Thanks for the feedback! It’s my no.1 choice for Kuta Bali. Super unfortunate and I hope that’s changed since this review was published. Your review is spot on with this resort. Stayed there over xmas when hotel was at 100% capacity. It was truly magnificent. We have booked to go back in may we loved it so much.